What is Fate (Destiny)?Fate or destiny is inevitable. The occurrence of many events in our life beyond our control is fate or destiny. Fate is controlled by our karmas done in present and previous births. Karmas are our actions or deeds. The supreme God knows our karmas. Depending upon our karmas, our birth is decided. This is the reason why, babies born at the same time to different couples may not belong to same status. Few are born with silver spoon, while some are born to poor parents. Fate decides your parents, siblings, children and relatives etc. You don’t have any choice here. If fate is everything, why should we act / work? There are two different concepts in our life, Fate and Freewill. Fate is already explained. Freewill is in our hands. We have the freewill to select our friends, spouse, job, business and to buy our favorite car, home etc. You can choose with your Freewill. For example, you have bunch of different flowers, you can select any flower from the bunch but nothing beyond that. Here the Fate represents bunch of flowers, and Freewill is your option to select any flower from that bunch. Every person acts according to their Karmas to fulfill their wishes (will). 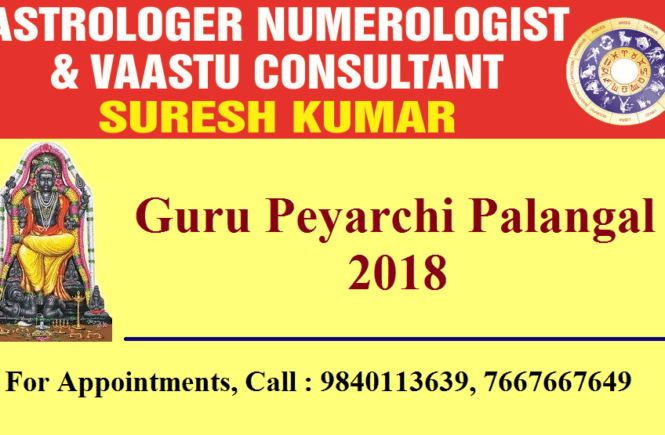 Why Astrology, if everything is Fate and freewill? Astrology is a divine science. 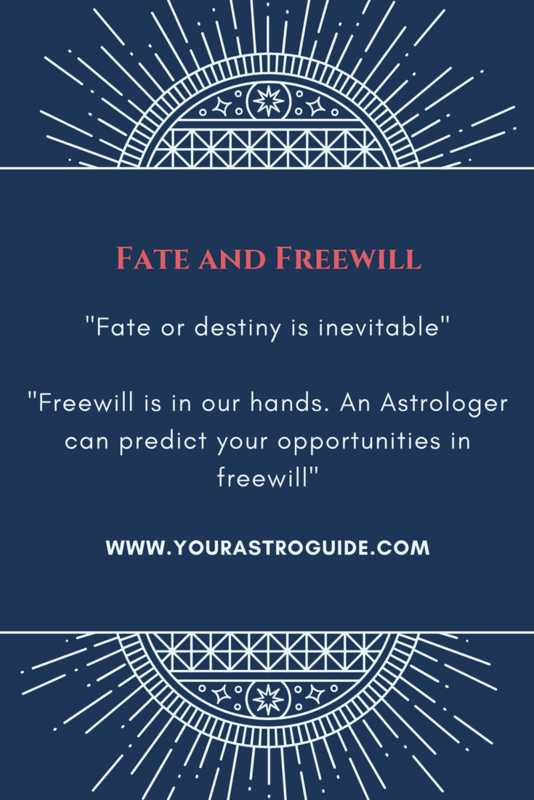 Through your birth chart, an Astrologer predicts your opportunities in freewill. An Astrologer can also tell you about where Fate prevails and man has no choice.